Making your own brewski has become quite hip and popular. 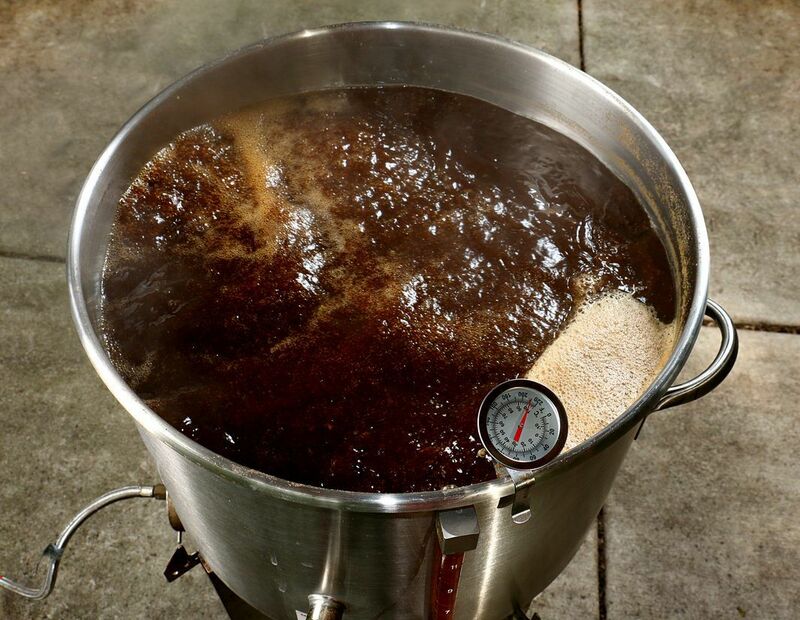 For beer aficionados, brewing your own makes a lot of sense. You can concoct recipes to suit your taste palate and calories/alcohol requirements, wow your buddies with unique formulations and techniques, not to mention save a few bucks by not going the commercial route. But, actually, when it comes to domestic brewing, we’ve come a full circle. This is an ancient practice, going back 7,000 years to the Neolithic period in Mesopotamia (now Iraq), Egypt and China. A time-honoured tradition, but today made much easier and more fun by state-of-the-art equipment our ancient predecessors could probably not even imagine. Most of us start out brewing beer in our kitchens, but dealing with beer boiling over and the drudgery of setting up and taking down equipment for every batch, has led to a rise in retrofitting a dedicated space somewhere else in the house for this hobby. The basement is commonly the space of choice for a home brewery. It usually has access to the most important element, water. Water is needed for the beer and also for cleaning the equipment, which is a critical part of the process. The other three indispensable features are a heat source, ventilation and a floor drain. For the obvious reasons! If you’ve been brewing outside or in your garage and want to take the operation indoors, keep in mind that this switch will involve a conversion from a propane setup to electric. It’s not safe to brew indoors with propane. Fortunately, seeing a definite trend in taking the home brewery inside the house, many companies started producing electric brewing systems. Slick, shiny and professional looking, some of them will make any micro-brewer puff up with pride. A dedicated brewing space in a house ticks off all the right boxes for a beer hobbyist. You can indulge in this passion all year round, rain or shine. You can invite your friends to join you in this mysterious process or gather them around to taste your latest concoctions. All this without the slightest upset of the family apple cart that the seizure of the heart of the home— the kitchen— can cause. And it’s not a huge task to set it up. Homebrewers are usually “do-it-yourselfers” anyways. In terms of cost, time and effort, it all depends on the scope and scale of your home micro-brewery. Just take a look at some of these beauties. At the rate this trend is spreading, the traditional focus in any house hunt of kitchen and bathrooms may change to checking out the home brewery room first, and if that passes muster, skipping the kitchen and bathrooms and just closing the deal. Not Into Botox? Consider This.